The adoption of biometrics in automobile industry is not new; however, it still needs to become a common feature in this industry. Reputed car-makers have shown their interest towards implementing biometric solutions in their cars to strengthen vehicle’s security. The global automobile industry has been proactive in embracing newer technologies. Reports on car-makers’ aggressive approach to push their driver-less cars to streets are enough to prove our point. Besides that, tech giants have also diverted their resources towards realizing their goal of rolling out driver-less cars on streets. At a time, when both automotive and technology companies are putting their best efforts towards powering the automobile industry with new technologies, the use of biometric technologies in cars doesn’t seem to be very futuristic. Like other industry verticals, automobile industry, too is gearing up to measure biological and physiological traits to grant access to an individual. The biometric market is classified into various segments. Companies dealing with automotive biometrics have been focusing on various segments that include vehicular access, ignition switch, vehicle immobilizer, rationalization and health monitoring. These segments are largely aimed to function with biometric solutions. Automakers have been showing a lot of interest towards incorporating biometrics in their auto products. The automobile industry will never shy away from embracing a technology which is safe, secure, convenient and most importantly, user friendly. The scope for the automobile industry to leverage biometric products and solutions has been highlighted in this blog. Meanwhile, it is also important to discuss about how various car-makers have been experimenting with the latest biometric technologies in various sub-segments of the automotive vertical. 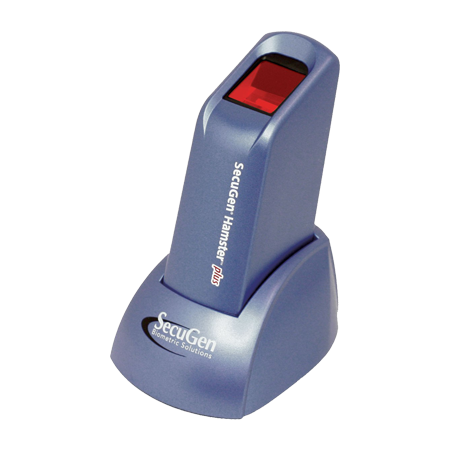 Biometric vehicle access system in cars, matches various behavioral or physiological characteristics to automate access monitoring system. Biometric technology could be in the form of fingerprint recognition, iris scan, facial or voice recognition. It focuses on the physiological and behavioral characteristics that differentiate one individual from the other. Currently, various vehicle access control systems like driver identification, biometric seats and steering wheel, automatic engine starter are all set to be deployed in high end cars. Reputed car-makers, namely, Ford, BMW, Mercedes-Benz and Volkswagen are working to incorporate this technology to ensure more comfort and safety to their customers, according to a report on CarTrade. 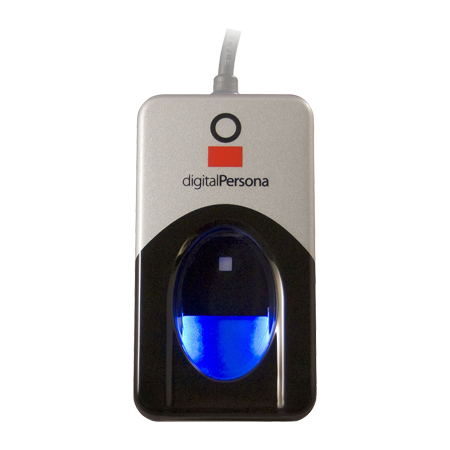 One of the major advantages of having a biometric vehicle access control system is that it is highly accurate, as it demands for biological evidences like fingerprint, iris scans and voice recognition, thereby, ensuring maximum protection. Biometric vehicle access devices do not need passwords, making it less prone to get hacked or stolen. Meanwhile, unauthorized users cannot easily replicate the passwords with their tricks. Besides that, vehicle access control systems using biometric technologies are easy to use, faster in terms of processing a request and can easily track any unauthorized access. 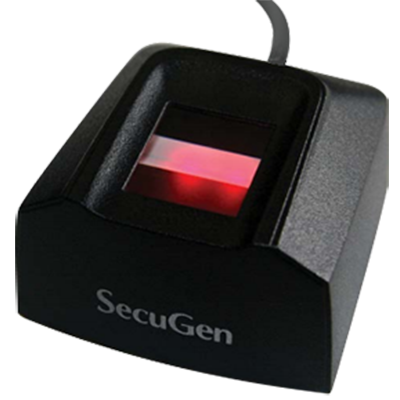 The biometric vehicle access control system follows various stages of access checks to verify authorized access controls. Some of the vehicle access controls include fingerprint recognition at the car’s door, steering wheel, microphone inside that car that analyses the car owner’s voice and an iris camera. After getting all these data, the biometric vehicle access system matches the current inputs with its existing records to give complete access for the car to the driver. Vehicle access control devices that are built around biometric technologies, offer key functionalities like advanced auto alarming, anti-theft protection and anti-carjacking. With this technology, cars will allow access only to authorized drivers to start the car. The biometric vehicle access segment is likely to grow in the near future, owing to latest technological advancements and increased safety regulations. Going by a report on Markets and Markets, the biometric vehicle access system market is projected to grow at a CAGR of 14.06 percent from 2016 to 2021. As estimated by the market research firm, the biometric vehicle access segment is likely to reach $854.8 million by 2021. As biometric enabled access control systems depend on an individual’s behavioral or physiological characteristics, these systems contribute towards immobilizing a vehicle, in case it is accessed by an unauthorized user. The global automotive biometric industry can be classified into various segments that include biometric capture device, steering lock and immobilizer. Of all these segments in the automotive biometric industry, the immobilizer segment is the considered to be major growth driver for the industry. According to Miltech, the installations of immobilizers in various countries have reduced the number of thefts. Automotive immobilizer act as an effective vehicle anti-theft system as it will allow the engine to start only with the vehicle’s authorized key. The automotive immobilizer is embedded into the engine’s ECU. The vehicle’s key stores a security password, which should match with the code stored in the vehicle’s unit. Once both the codes match, the ECU will initiate engine ignition. According to market research firm, Research and Markets, the worldwide automotive immobilizer market is predicted to grow at a CAGR of 3.77 percent from 2016 to 2020. The report also emphasizes that adoption of immobilizers will grow gradually as several regulatory bodies across the global automobile industry are taking all initiatives required to improve safety even in low end vehicles. Taking cognizance of the rising number of vehicle thefts across the globe and the inconvenience caused due to misplacement of vehicle keys, biometric solution makers are working towards solving this problem with a fingerprint based vehicle starter system. The ignition switch system not only prevents theft but is also very convenient to start or stop a vehicle. The owner of the car and its users can start the car by scanning their finger. Biometric ignition switch identification enhances the security of a vehicle and allows access only to few authorized people to start the vehicle. Biometric- based authenticated ignition switch will match the individual’s data with its existing records and will allow access, if the biometric inputs match the existing records. The driver’s fingerprint has to be registered for him or her to be able to start the vehicle. The biometric ignition switch is designed to read the driver’s blood pressure, pulse rate and body temperature. 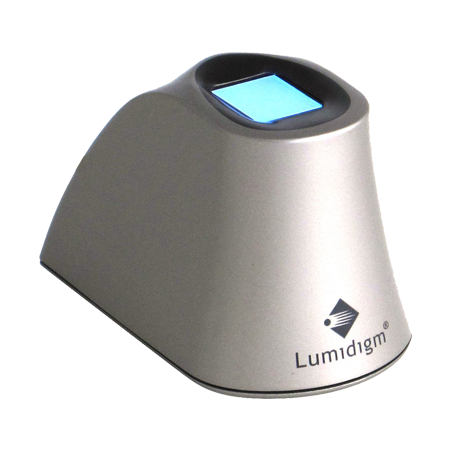 It can also detect the capillary patterns under the skin to give access to the driver, points out Gadget Review. Besides safety, security and convenience, Biometric based automotive solutions also offer personalized features to the vehicle owners. Biometric authenticated vehicles would be able to automatically adjust the seats, mirrors, music and GPS after having recognized the user, thereby, personalizing the entire driving experience. As the car gets into adjusting its features, drivers can focus only on driving and minimize distractions. Meanwhile, the biometric based systems in the car notes the driver’s blood pressure, heart rate and other vital to detect, if the driver is impaired in any way. The vehicle then, engages automatic assistance to prevent accidents. Automobile and tech companies have been showing a lot of interest in personalizing the driving experience with the use of biometrics. According to a New York Times report, Ford and Intel have been working towards knowing the mood of the driver behind the wheels. Even Honda’s NeuV concept car has a large customizable LCD dashboard and a cloud connected computer on board that allows the car to interact with the driver. While showcasing its prototype FF91 sports utility vehicle (SUV), Faraday Future had used an external camera at the door’s frame to recognize the car’s owner and give access to the vehicle, reported the publication. Automotive manufacturers are increasingly integrating biometrics into vehicles to monitor health of the person behind the wheels. Taking cognizance of growing number of accidents caused to people with medical conditions, automotive OEMs and suppliers have increased their focus on implementing biometric solutions into vehicles. The biometric systems recognize fingerprint, iris, voice, gesture, heartbeat, brain waves, stress, fatigue, eyelid movements, facial expressions and pulse rate to detect, if the driver of the vehicle is medically fit to drive. Automakers are looking forward to have an advanced biometric monitoring system that can determine driver’s alertness. The stress level of the driver can be detected from his or her breathing pattern and heart rate. Biometrics is not a new technology being tried by the automobile industry. Volvo was one of the first companies to leverage biometric technology, wherein, the keyfob was equipped with an embedded fingerprint reader that permitted the owner to unlock the car, reported Tech Republic. Taking further reference from the Markets & Markets report, Europe had accounted for the largest share in biometric vehicle access system market last year. The growth was largely contributed by well established car-makers, namely, BMW, Ford, Mercedes-Benz and Volkswagen, who primarily wanted to develop these technologies to enhance their vehicle’s security. The report also explains that the Asia-Pacific vehicle market is estimated to account for the largest market share in iris systems by 2025. However, the report further explained that the European automobile industry is growing faster than other geographies, namely Asia-Pacific and North America. While we discuss about the adoption of biometric technologies among car-makers, it would also be interesting to know about the various offerings being made by the tech vendors. At the 2017 CES held at Las Vegas, various technology companies had showcased their biometric products that would suit the needs of the automobile industry. Automotive biometrics was the main highlight at the CES this year, according to a report on Find Biometrics. For instance, Honda announced its partnership with VocalZoom and as per the deal, VocalZoom will integrate optical voice sensors into Honda’s new smart car. The 2017 CES also witnesses Delta ID’s collaboration with Gentex Corporation to demonstrate the use of iris scanning as a measure to identify and authenticate the car’s driver. The global automobile industry has been experimenting latest technologies to offer more luxury to their customers. Reports on various automotive market players tying up with several experts to bring in a new paradigm shift in the industry are already rife. These developments give us an impression that biometric technologies could soon become a common and accepted feature in the global automobile industry. Biometric systems have already made their way in the automotive segment. For instance, there are certain security systems for cars that use a touch pad and fingerprint to grant access to the person going to start the car. Meanwhile, there are car seats that recognize the driver by the size and shape of his or her body. Iris scan and voice control are other important biometric measurements to control a car’s functions. As stated by the Markets and Markets report, the automobile industry has been using biometrics since many years, however, industry experts and analysts opine that the technology’s faster growth and lengthy design process for automobile manufacturing has made the adoption of biometric solutions slower. If the biometric tech vendors and automakers can address this gap, then biometric technology would be a common feature across all auto products. However, a vague analysis of the partnership deals between the automobile and tech companies in the recent past, pester us to infer that both the automobile and tech industry are working cohesively towards deploying the appropriate biometric solutions in the automobile industry. Additionally, biometric details can be used with connected cars and other technologies that will be crucial in a connected car environment in the years to come. What do you think about automotive biometrics? Do you feel, automotive biometrics would soon become a common feature in our vehicles? It would good to know about the loopholes that could be addressed by the stakeholders in the automotive biometric segment.